Christmas Reflection | Just Shooting Memories! Okay, I could not resist posting another shot of Christmas lights. I was out most of the day on Christmas day. 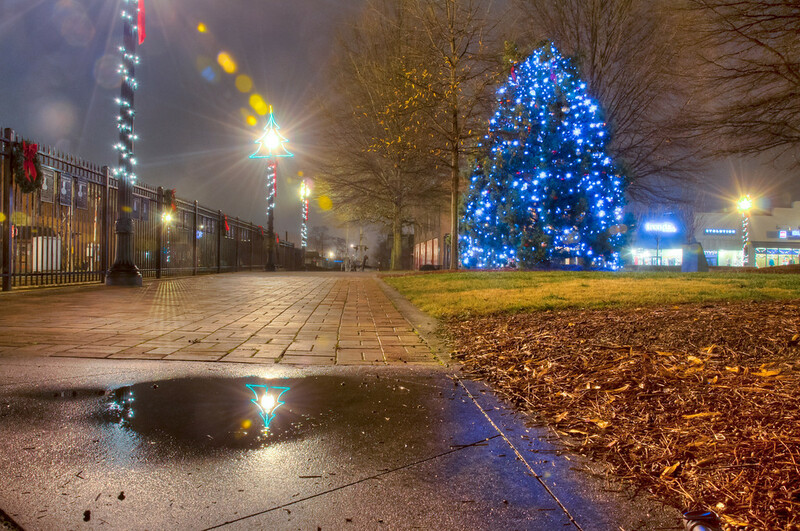 On our way home, we passed through downtown Cartersville after dark and I saw this tree in the middle of town. Having been so busy this December, I have not been able to get out and see a lot of lights like I wanted. So, I decided to stop for a quick shot. While I was walking around, I noticed this little puddle of water off to the side. It made for the perfect reflection.